With the way 'run machine' of India Virat Kohli is performing, it seems as if there is nothing in this world that he can not achieve. Virat Kohli had broken so many records and he is also on the verge of breaking many more. 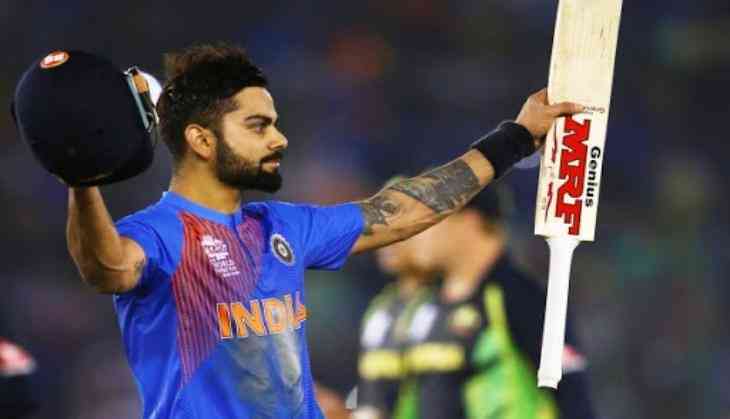 In the on-going 3rd Test match between India and Sri Lanka, the Indian skipper Virat Kohli equaled the record of cricket great Sachin Tendulkar and Ricky Ponting by hitting the 6th double century of his cricketing career. Although there are many records that Virat Kohli has broken, yet there are many that he has not been able to touch. One of them is following the footsteps of Virender Sehwag, Sachin Tendulkar and Rohit Sharma who have hit double centuries in the One Day International. Recently, during a candid conversation with the star Indian batsman Cheteshwar Pujara, the skipper said that the longest format of the game gives him satisfaction. "It is pleasing to score in Test matches. To counter different conditions in England, South Africa, the job satisfaction is certainly the most in Test cricket. ODI, T20Is are emotionally satisfying too when you play in front of full crowds and win close games," Virat Kohli said. While talking about the double centuries in the One Day International, when Pujara picked him as the next person who is going to hit a double ton in the limited over the match, Virat said, "I feel openers have a better chance. Maybe if I get to bat early, it can happen. I have come close twice, but you need to bat in the first 5 overs. Rohit has achieved the feat twice but I can't hit as many shots as him in the latter half of my innings. I will try to do it though." Well, it would be fascinating to see Virat Kohli hitting a double ton, isn't it?